Welcome to the new “Brangus Beat”. The Brangus Beat is a new educational and information source for IBBA members which will feature topics of interest including market updates, marketing tools, IBBA services, and updates from the IBBA office. This episode gives a market summary of Brangus sales so far in 2014. Subscribe to IBBA’s YouTube channel BrangusVideo for instant notifications of new videos. Producers in the 21st century beef industry come better prepared than ever before. Continued education programs and an abundance of online resources help cattlemen stay well informed. Record keeping practices have improved and cattlemen have a good handle on the costs associated with their operation. Tightening margins have forced producers to further evaluate the management plan, running through many different scenarios to find the best production model. For some this was a real eye-opener, for others it reinforced the approach they were taking to manage the herd for a profit. A genetic base complete with a bundle of traits also played a key role in the success of the operation. Many cattlemen have argued with neighbors and colleagues until they were blue in the face over their point of view; however, most will agree longevity built into the female is a definite advantage for most outfits. “Every year I can keep a cow it cuts my costs $1,500. Because that’s what it costs to get a female into production,” says James Henderson, Bradley 3 Ranch, LTD, Memphis, Texas. “Operations have to be profit driven. Fertility is a good trait to have and will lead to a long life on many ranches, but females have to be productive. Make sure cows are able to live in your environment, breed back and do it profitably year after year,” says Dr. Robert Wells, Livestock Consultant, Samuel Roberts Noble Foundation in Ardmore, Oklahoma. 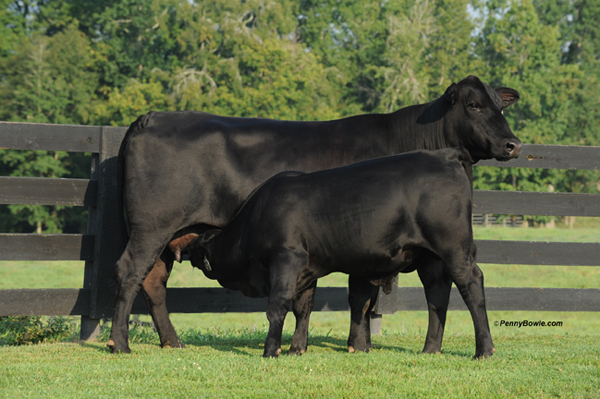 “Longevity is one of the reasons we have Brangus females. A lot of times you wouldn’t know that old cow, is not a six or seven year old, because she’s still milking well and raising a good calf,” says Adam Whitesell, Lockwood, Missouri. This operation maintains 600 to 650 Brangus females and retains ownership of the calf crop most years at Decatur County Feedyard in Oberlin, Kansas. Cattlemen have been programmed into two schools of thought; either buy or raise the replacements that the operation needs. Costs are associated with each method; another big debate among cattlemen looking for the most profitable answers. Care and handling of these replacements will bring genetics to the forefront when done right. Management could help these females lead long productive lives just by making the right decisions as they are introduced to the next stage in the production cycle. 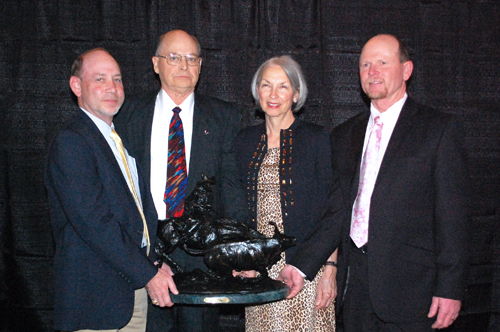 Five of the most elite cattle producers and Brangus breeders were honored by the International Brangus Breeders Association (IBBA) for their outstanding achievements and their contributions to the Brangus breed as well as the beef cattle industry. The Pioneer Award recognizes an IBBA member, past or present, for his/her service, loyalty and contributions to the Brangus breed. Jerry Morrow served as IBBA’s Executive Vice President from 1980 to 1988 and had an influential role in the association. Several advancements were initiated under his leadership including the first National Junior Brangus Show, first National Brangus Sire Evaluation, first Brangus bull sale at the National Western Livestock Show in Denver, and the first of any breed to have ultrasound enhanced carcass expected progeny difference (EPDs). 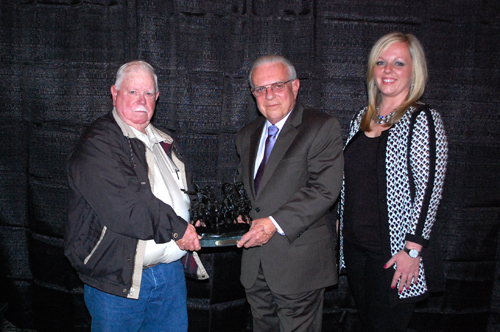 David Vaughan also received the Pioneer Award for his influence both domestically and internationally. Vaughan was the owner of Salacoa Valley Farms in Fairmount, Ga., which sold to the Seminole Tribe of Florida. He served the IBBA in several capacities including a term as president in 2007-2008, and he was awarded the Brangus Breeder of the Year award in 2005 for his progressive ideas and successful operation. 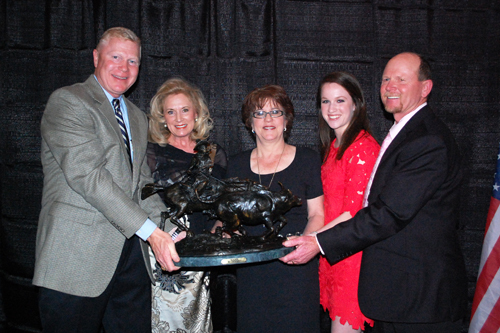 Steve Densmore of Bryan, Texas, was one of two recipients of the Breeder of the Year Award. The substantial amount of carcass data the IBBA has received on fed Brangus steers is, in part, due to Densmore’s dedication to the Brangus breed. He has a passionate devotion to the Junior Brangus Association and was the recipient of the Georganne Myers Award in 2011 for his support of the Junior program. Densmore also served on the IBBA Board of Directors from 1997 until 2003 and was elected President in 2002. He was elected to another three-year term from 2010 to 2013, which collectively totals 10 years on the IBBA board. 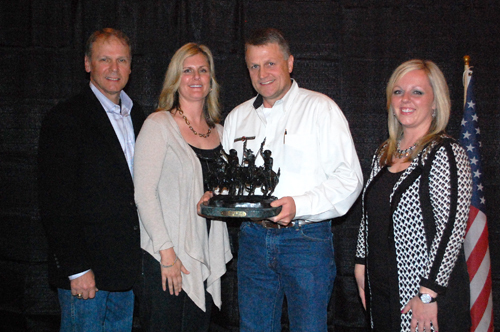 Mike Coggins was another recipient of the Breeder of the Year Award for his progressive ideas and outstanding seedstock operation. Coggins is a truly progressive breeder who produces some of the best genetics with the latest technologies available. Coggins owns Blackwater Cattle Company in Lake Park, Ga., where he oversees a purebred Brangus cattle business along with a diversified agriculture operation. He is very knowledgeable about all sectors of the industry and understands the needs of commercial cattlemen, seedstock producers and consumers alike. 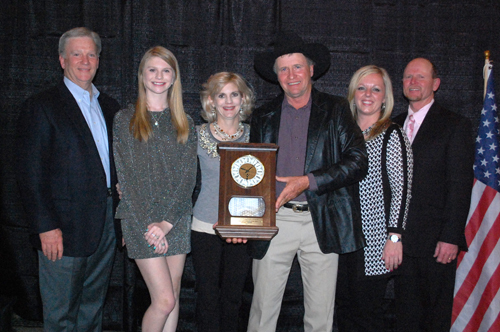 The Commercial Producer of the Year award was presented to Russell Trefney of Weimar, Texas, in recognition of his achievements and success of incorporating Brangus genetics in his commercial cattle operation. A fifth generation cattleman, Trefny found Brangus to be the best breed for his crossbreeding operation in Central Texas in order to maintain a consistent product that resulted in higher quality carcass grades at the harvesting stage, making it more profitable for him to retain ownership through the feedlot. Award recipients were presented their awards Friday, March 7, 2014, by the IBBA in Houston, Texas, at the IBBA annual convention. Award recipients are nominated and selected by the IBBA Awards Committee. Please visit http://www.gobrangus.com for more information. Our spring photo contest involves something every producer loves this time of year– BABIES! 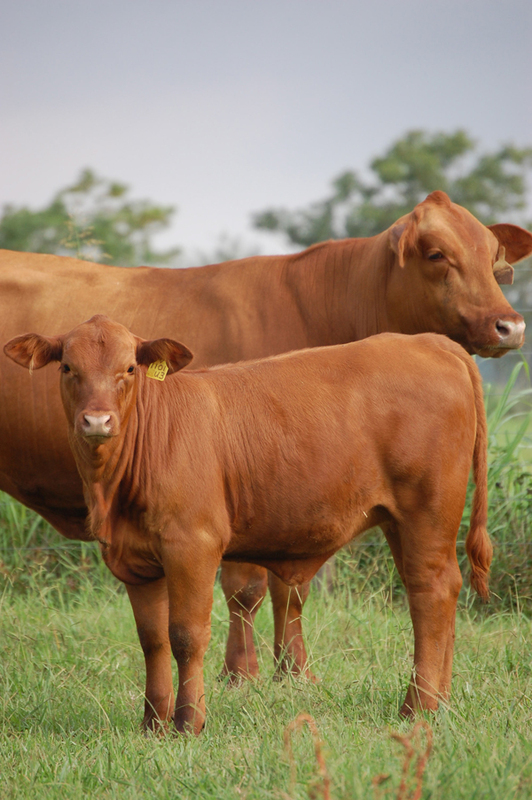 Send us your best Brangus calf photo(s), and your photo could be featured in the May issue of the Brangus Journal. Send photos to Tyler Dean- tyler@int-brangus.org by Tuesday, April 15! 4) Photos must be 300 dpi resolution (contact Brittni or Tyler if you need help with this). An Australian cattle stud has turned heads in the global genetics market after paying $70,000 U.S. dollars (AU$76,000) for a Brangus cow in the Ideal Video Customer Appreciation Sale hosted March 6, 2014, in conjunction with the International Brangus Breeders Association (IBBA) Annual Convention in Houston, Texas. 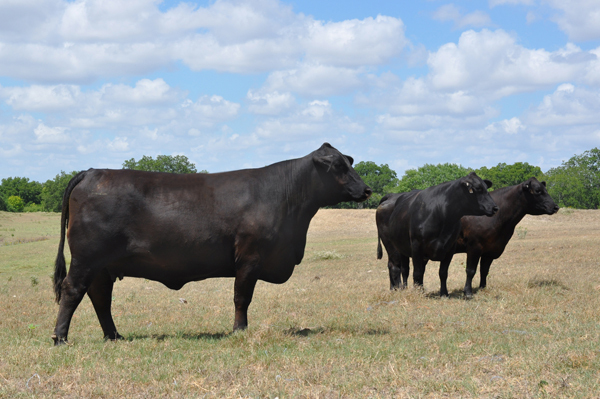 The Oaks Miss Csonka 541T7 was purchased by a partnership of Tony Westbrooks of Bushley Creek Cattle Co. in Olla, La., and the Pearce family of Telpara Hills in Australia. Westbrooks also purchased another cow in partnership at the same sale for $70,000, but the partnership chose the option to purchase 2/3 interest, therefore making 541T7 the highest selling cow in the Ideal Video Productions sale and in recent memory. Telpara Hills runs a herd of approximately 1,000 stud animals near Atherton in north Queensland, Australia. Stephen Pearce said it is in the unique position to be the only Australian stud to have sold 15 animals for more than $20,000 each in the past few years, including new records for three heifers sold for between $22,000 and $25,000 at Rockhampton last year. He believes the highly credentialed cow should have no problem returning on the enormous outlay based on the valuable embryos she will produce and the female calves to be retained as part of the Telpara herd. “So 15 heifers a year at least we’ll retain out of that cow, and I suppose the value will be in those retained daughters in our herd, which we’ll then pass onto our bull producers who will have progeny and grand progeny out of that cow. Only two calves from Oaks Ms Csonka have been offered at auction, both for an average of $20,000. She also ranks in the top of the International Brangus Breeders Association’s (IBBA) performance evaluations for weaning weight, yearling weight, maternal traits, rib eye area and marbling. Pearce said the stud’s latest acquisition will be staying put in Texas where the family also runs a herd of embryo donor females. “I’m probably the only cattleman that every now and again hopes for a high dollar,” he laughed.